Do you have an effective call resolution coaching and training program that drives a positive Customer Experience (CX)? Interestingly, SQM’s research shows that 35% of unresolved calls are due to Customer Service Representative (CSR) source of error. It has been SQM’s experience that when a contact center improves their first call resolution and/or call resolution performance it is, in most cases, the result of improving CSRs’ skills, knowledge, and abilities for resolving calls. In addition, first call resolution and/or call resolution are leading indicators for achieving high customer satisfaction, Net Promoter Score®, and Net Retention Index performance. 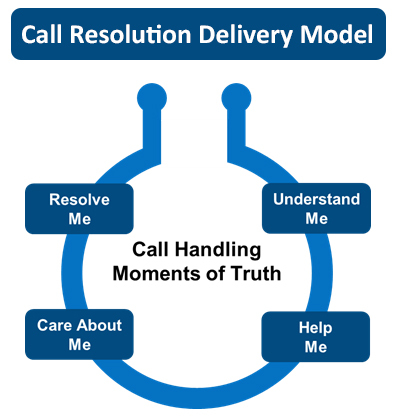 Therefore, training your trainers and/or supervisors on how to educate and coach CSRs for resolving calls is essential for delivering a positive CX. The first two days of the CX Essentials - Train the Trainer program will give your trainers and/or supervisors the skills required to facilitate a CSR call resolution training program. The third day of the CX Essentials - Train the Trainer program will give your trainers and/or supervisors the skills required to coach CSRs on how to improve their call resolution performance. Upon completion of the three-day CX Essentials - Train the Trainer program, trainers and/or supervisors will have the necessary facilitation and coaching skills to conduct call resolution training and coaching for CSRs so that they have the necessary skills, knowledge, and abilities needed to improve their call resolution performance and/or to achieve world class call resolution performance.